For a long time, clocks have been around, ever since early man began to seek a way for measuring time. This machine shows the time in hours, minutes and seconds. To define it, we can say that clocks have a striking or announcing mechanism which sounds after every set of a time interval. This sound can be the ringing the chimes, gong or bell. Well, a clock is an important addition in the part of our home décor and you can use one that perfectly suits your house scheme. 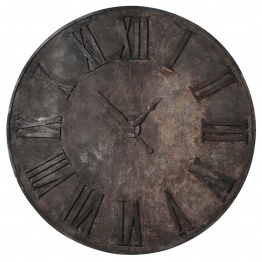 Here are the varieties of clocks that we have brought to fulfill your decorating demands. A skeleton clock is a clock that is certainly mechanical in nature and it parts that generally disguise the internal workings of the mechanism have been either modified or removed for displaying the internal parts. It is regarded as one showcase design that exposes intentionally to display the several wheels, springs, and gears. Many of the greatest inventions of our life were not easy feats for overcoming. Some needed rigid discipline, extreme concentration as well as abundant practice for creating an ideal embodiment of creator’s vision. One of the finesse displays of such a theory could be seen in these clocks and you could have one in your house now. We have lots of these unique pieces that are ornate and beautiful. If you wish to bring some attractive appeal to the bare wall of your house, then metal wall clock collection of ours would be an easy way for sprucing up your style and even a convenient way of checking the time without having to check in your phone. They can be a beautiful piece of décor which will work in pretty much like a piece of wall art. While made out wholly out of metal, it would bring an understated elegance to all rooms. We want you to decorate your house using the best pieces of home décor goods and with this aim, we have brought our exclusive collection of the industrial clock. They are available in various shapes, styles, sizes and other detailed features that ensure to suit your taste or house scheme. Browse the collection of this range and get the perfect product for your house. If the intricate design and artistry of antique timepieces fascinate you, you should browse our collection of French clock. 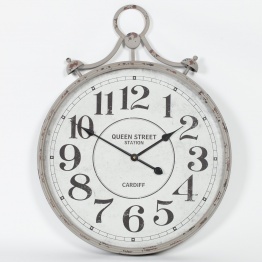 These antique timepieces can actually add a level of sophistication to your home décor. We have these timepieces in varied design and styles that suit every individual taste of our customers. Throughout the years, antique vintage clocks have been one of the most celebrated pieces of all clocks. With the goal to offer you the chance to have one such antique piece to adorn your house in a perfect sophisticated way, we have brought up a wide collection of the vintage clock. You will get one or more pieces that match up the décor or scheme of your house.